You can exhibit your services or products by booking a complete 4 m² stand located on the Product and Service Avenue in hall D of the Subcontracting Trade Fair. 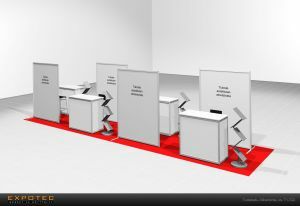 The Product and Service Avenue is an excellent solution for 1–2 persons to carry out sales work at a trade fair event. You will exhibit your services or products to decision-makers in a cost efficient way in accordance with your company’s image and in an environment that is convincing and of high quality.